Sung Pil Chang received his Doctor-Ing. degree at the Steel Structure Institute in 1976 and his Diplom-Ing. degree in Civil Construction Engineering in 1971 from the Stuttgart Technical University in Germany. He received his Bachelor’s degree in the Civil Engineering Department of Seoul National University in 1965. After his study, he has been serving at the Seoul National University as an Assistant, Associate and Ordinary Professor since 1976. He is the Founding Director of Korea Earthquake Engineering Research Center. He was also the Founding President of the ANCER (Asian-Pacific Network of Centers for Earthquake Engineering Research). 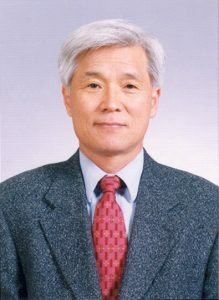 He also served as the President of KSCE (Korean Society of Civil engineering) and was the Founding President of EESK (Earthquake Engineering Society of Korea). He is a Member of the Nuclear Safety Committee and also serves as the Chairman of the Nuclear Safety Expert Committee for the Site and the Structure in the Ministry of Science and Technology of Korea.